VIRES Announces Transfer of OpenDRIVE® Standard to ASAM e.V. NEWPORT BEACH, CA ( September 12, 2018) – VIRES, an MSC Software Company, announce the transfer of the OpenDRIVE® standard, an open file format for the logical description of road networks, to the leadership of ASAM e.V. The standardization organization ASAM e.V. will adopt several standards for the validation of highly-automated driving. OpenDRIVE® is the first standard that has been transferred into ASAM. The standard defines a data model for the highly accurate, logical description of road networks. It is used for vehicle and traffic simulation and serves to functionally validate driving situations and driving maneuvers. OpenDRIVE® is going to be continued under the name of ASAM OpenDRIVE. The core team around OpenDRIVE® have decided for that step to ensure an independent, long-term development and maintenance of the standards in a professional setting. The contract has been signed by ASAM and VIRES Simulationstechnologie GmbH, thus assigning their rights to ASAM. The present core team around the initiating companies VIRES Simulationstechnologie GmbH and Daimler AG comprise ten companies who have participated in the development of this standards since 2006. Many more companies apply this standard in their tools. Marius Dupuis, Managing Director of VIRES Simulationstechnologie GmbH, describes this decision: "OpenDRIVE is entering a new phase and will evolve from a 'de facto' standard to an official one. In ASAM, we have found an organization which will continue the development of the standard in a professional and effective manner. ASAM's international presence will also help grow the international user base rapidly." 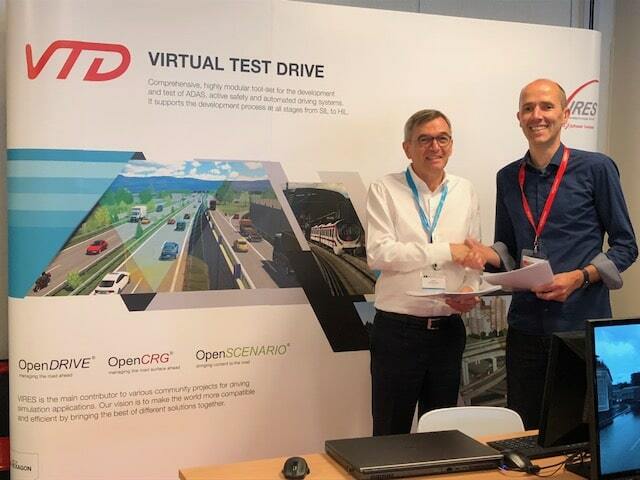 "With OpenDRIVE®, we are expanding our standards portfolio by the new domain 'Simulation' and position us in the area of highly automated driving. We are not only gaining a successful standard and promising domain, but we also broaden the expertise of our community and gain highly motivated working group members." sums up Dr. Klaus Estenfeld , managing director of ASAM e.V. "We are happy that OpenCRG® and OpenSCENARIO®, two important elements for the domain 'simulation', will soon be part of ASAM e.V. as well." The ASAM OpenDRIVE kick-off meeting will take place on Oct. 09 – 10, 2018. The first release of this standard under the leadership of ASAM is expected for end of 2018. The standard will be accessible on the ASAM webpage (www.asam.net) free of charge. The first activities relating to ASAM OpenDRIVE will be open to all interested parties; commercial, academic, and software vendors. Participation in the work group to further develop the standard require an ASAM membership.